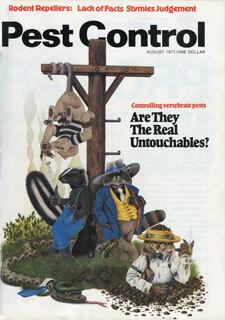 The August 1977 cover story of Pest Control magazine, as Pest Management Professional was then known, kicked off a series called the “Vertebrate Pest Control Manual” by Rex E. Marsh and Dr. Walter E. Howard. The series ran through May 1978, detailing biology and control methods for wildlife ranging from deer mice to armadillos. Marsh and Howard’s entry on bats appears in the October 1977 issue. The authors indicate bats were protected in some states and local areas at the time. Today, several bat species are endangered and protected under federal law, and state and local laws set strict bat removal regulations. Marsh and Dr. Howard considered the U.S. Environmental Protection Agency’s (EPA’s) cancellation of dichlorodiphenyltrichloroethane (DDT) in 1972 and restrictions on other pesticides a major setback, noting: Bat control methods have not advanced much over the years. In fact, they have slipped backward with the greater EPA restrictions on the registration and use of certain pesticides. By 1977, use of DDT was still permissible when a bat colony put public health at risk. Marsh and Dr. Howard explain professionals could apply to the EPA for permission to use DDT if the bats carry rabies, for example. But the authors didn’t recommend it: Obtaining permission to use DDT in some states involves an unbelievable amount of bureaucratic red tape even when only a few pounds of DDT are involved. The entire procedure can hardly be considered an efficient, workable system, and certainly is not in the best interest of good preventative medicine. Rather, Marsh and Dr. Howard endorsed taking the same proactive approach that experts recommend today: A colony of bats may be excluded from a building through batproofing. In fact, where feasible, this is the only truly permanent and satisfactory control. To exclude most bat species from a building, openings larger than 3/8 inch must be eliminated. Hardware cloth (1/4 inch mesh) or sheet metal are the materials used most often to close entrances, although softer building materials also are useful, such as aluminum flashing, pressboard, and plywood. Unlike rodents, bats will not gnaw their way through softer building materials. If foam or other loose-type insulations are used, be certain that any substantial amount of droppings are removed and not just covered over, for objectionable odors may continue. When batproofing, pay particular attention to chimneys, louvers, vents, cornices, warped siding, and locations where the roof joins the sides and in the areas of the eaves. Who were Marsh and Dr. Howard? 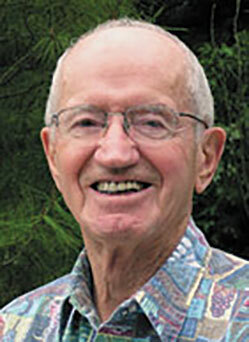 Shortly before his death in May 2018 at age 89, Rex E. Marsh was presented with the Walter E. “Howdy” Howard Lifetime Achievement award during the Vertebrate Pest Conference put on by the University of California, Division of Agriculture and Natural Resources. 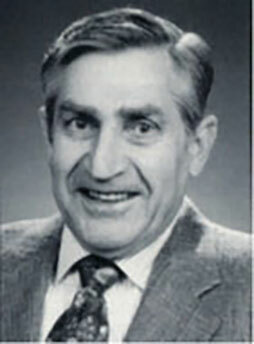 According to his bio at VPConference.org, Marsh began working at UC-Davis in 1964, after nearly a decade with county and state departments of agriculture. Even after his retirement, he continued to publish technical articles and serve as a knowledgeable resource in vertebrate pest management.